I am often asked about the products I use for XYZ, so I thought it would be a great idea to get them together on one page for you. These are the products and services I use on a regular basis to help me to manage my blog, our household budget and of course our Disney holidays! You can both save and make money from some of my recommendations. Simply scroll down to the area that you are interested in. Disclosure: There are some affiliate links below, however these are all products or services that I use on a regular basis and I am happy to promote. GoDaddy – Website hosting. I first joined up with GoDaddy because of their cheap prices, but since then their service has been fantastic. I actually left GoDaddy and moved straight back after some terrible service with another host. I love how there is always someone (usually a friendly American!) on the other end of the phone to discuss any issues I am having, or even to discuss my business goals. Click here to visit my tutorial on building a self hosted WordPress website with GoDaddy. Studiopress – WordPress theme. The Genesis framework for WordPress is fantastic, and I am using the “Brunch Pro” theme to create the website that you see in front of you. Click here to visit Studiopress and browse their available WordPress themes. Pretty Link – makes affiliate link management a breeze. I am now using the pro version of this plugin but the free version takes an affiliate link and makes them pretty. The pro version comes with some added bonuses, but the free lite version is fantastic too. Click here to get Pretty Link. Affiliate Window helps me to earn an income from my blog through affiliate marketing. I simply link to suppliers or particular items and I make a commission if someone makes a purchase using my link. Here is my full guide to getting started with affiliate marketing. Making Sense of Affiliate Marketing e-course – Michelle, who runs the course, is making a massive $50,000 (£38,000) a month from affiliates alone. Can you even begin to imagine what you would do with an income like that? In this course Michelle shares her tips and strategies for being successful at affiliate marketing. There are also some great course bonuses including a dedicated Facebook group where Michelle offers her personal help.Click here to take a look at the Making Sense of Affiliate Marketing e-course. I use Canva.com for free to make images for my blog and social media channels, using free photos I found at Pixabay. Here is my video showing you exactly how I make images for my blog and social media. 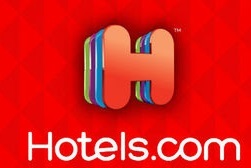 Hotels.com is one of my favourite hotel booking websites. Not only do they have fantastic prices with a price match guarantee, you can earn yourself a free night for every 10 hotel nights you book – and they don't even need to be simultaneous. The FairFX currency card is the only card that we use when we visit Walt Disney World. By using the FairFX card you can lock in a fair rate by topping up the card when the rates are in your favour. The app allows you to remain in control of your spending or top up your card as you go, meaning that you don't need to pay to convert your unwanted currency. The Mastercard is accepted pretty much anywhere, and you can get a free card (usually £9.95) by using the link on this page. Check out my FairFX currency card review. Walt Disney World is my favourite place to visit, and every year they have a fantastic offer with free dining and a $200 gift card. I always go direct to Disney for the best prices! Touring Plans is fantastic for anyone visiting not only Walt Disney World but also Disneyland, Universal and even on the Disney Cruise Line. Put together the best plan of action for your group and you will be able to save time and spend more time on the rides you love! Another fantastic free bonus is that you can get notifications of any dining reservation times that come available – perfect if you are looking for a particular dining reservation. Get 20% off with promo code UMBRELLA. I use Confused.com to regularly compare all of our household bills and see if we can save money by switching suppliers or tariffs. The savings can be £100s every year just from taking a few minutes to make the switch.